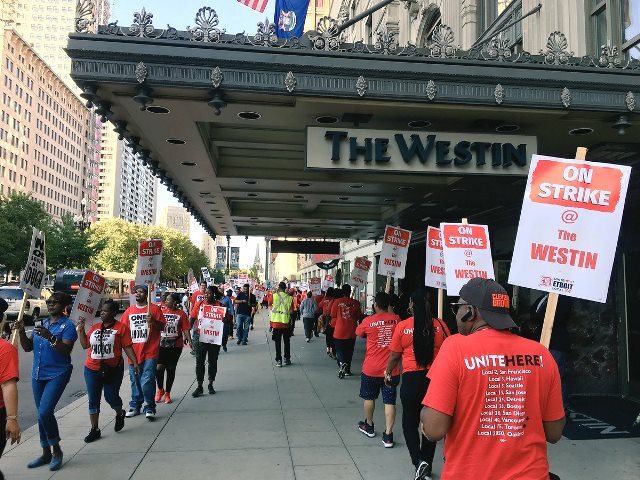 UNITE HERE members at Marriott hotels in 5 more U.S. cities have joined the growing national strike, which now brings the number of strikers to 7,700 at 23 hotels. On October 8, 2,700 union members walked off the job at Marriott-operated hotels in Hawaii, following earlier strike action by workers in Boston, San Francisco and San Jose, who were followed by walkouts in Oakland, Detroit and San Diego. "Marriott is the richest and most profitable hotel company in the world,", said UNITE HERE President D. Taylor, "and by taking them on in this historic hotel worker strike, UNITE HERE union members are going to change the lives of all workers in our industry."